This book covers the broad field of cellular, molecular, preclinical, and clinical imaging either associated with or combined with photodynamic therapy (PDT). It showcases how this approach is used clinically for cancer, infections, and diseases characterized by unwanted tissue such as atherosclerosis or blindness. 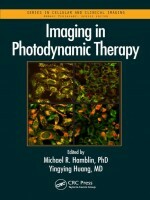 Because the photosensitizers are also fluorescent, the book also addresses various imaging systems such as confocal microscopy and small animal imaging systems, and highlights how they have been used to follow and optimize treatment, and to answer important mechanistic questions. Chapters also discuss how imaging has made important contributions to clinical outcomes in skin, bladder, and brain cancers, as well as in the development of theranostic agents for detection and treatment of disease. This book provides a resource for physicians and research scientists in cell biology, microscopy, optics, molecular imaging, oncology, and drug discovery. Covers cellular, molecular, preclinical, and clinical imaging associated or combined with photodynamic therapy (PDT). Highlights clinical use of PDT for cancer, infections, and diseases characterized by unwanted tissue such as atherosclerosis or blindness. 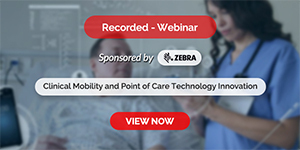 Reveals how various imaging systems such as confocal microscopy and small animal imaging systems are being used to follow and optimize treatment, and to answer important mechanistic questions. Includes discussion of how imaging has influenced clinical outcomes, such as in skin, bladder, and brain cancer. Shows how PDT has contributed in essential ways to the discovery of novel “seek and destroy” theranostics, i.e., development of agents that both detect and treat disease.